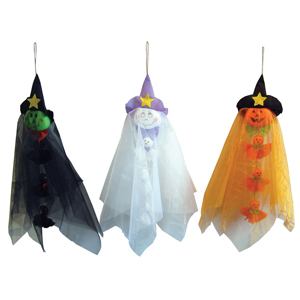 • Sheer fabric over plush fabric faces with smaller hangers underneath and wearing witch hats. • Each measures approximately 12 inches overall. • 24 per case, $1.65 each.